Cordillera - Anita Licwasen received the greatest Christmas gift she had ever wished for in her entire life - to be reunited with her family. She will never forget the joy, happiness and the fulfillment of her longings that she had this holiday season of the year. Anita Licwasen was reunited with her family in Bakun, Benguet after 50 long years of being separated with her siblings. From her story, she left her hometown at the age of ten to work as a vegetable seller in Hilltop, Baguio City. At the age of 17, she was recruited to work as a household employee in Casa Espanol in Quezon City, Manila. Her kind employer offered her free housing and allowed her to put up a small sari-sari store near the area. She also worked as a baker for the Francie's Food Industry. She was given the name Evelyn Garcia by her recruiter back then. During those long years of working in Manila, lola Anita was able to save some of her earnings but lost them all when she suffered a stroke in 2010. Due to her condition, lola Anita was bedridden and can no longer work. Back then, she only relied from the children of her previous employer and good Samaritans in her neighborhood to provide for her basic needs. 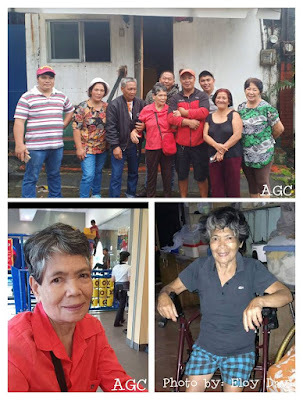 The plight of Lola Anita caught the attention of the netizens on Social Media when her information was posted by Mr. Eloy David and became viral with almost 890 shares. The post later caught the attention of her relatives in Bakun and also the Bakun-MDRRMC. 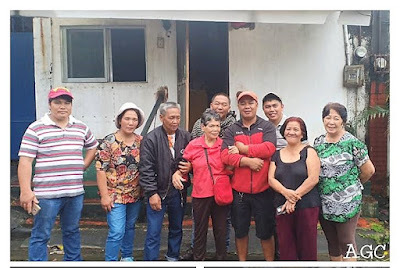 According to Bakun-MDRRMC's post, they immediately contacted Mr. David and arranged a plan to go to Quezon City to bring lola Anita home to her family in Bakun before Christmas Day. "When we arrived at her quarters, she immediately opened her door, her brother immediately introduced himself and communicated our purpose to bring her home. Tears immediately fell down her lonely eyes. We asked her whey only now that she informed her relatives that she is alive, she emotionally answered that she doesn't have the courage to face her relatives because of what she have done. She asked for forgiveness to which his brother immediately replied that she doesn't need to ask for forgiveness because her only mistake was her failure to immediately inform them of her whereabouts. What they missed were the opportunities and time the they could have share together. Her brother instead thanked her of her decision to come home, it's never too late to bond with her relatives," Bakun-MDRRMC wrote. Indeed, it was a joyous Christmas and will be a happy New Year for lola Anita and her family! 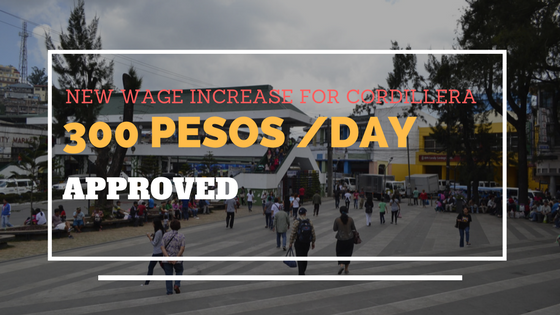 Cordillera - Do you want to go to Baguio City faster with less car traffic on the road this holiday season? Don't you know that there is now a new alternate road open to motorists to avoid the traffic congestion on Marcos Highway. 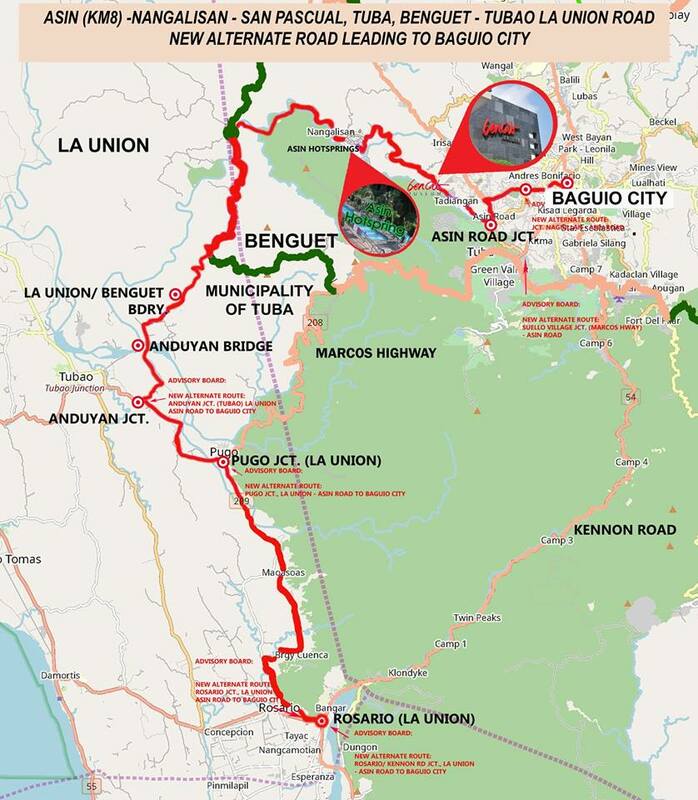 The Department of Public Works and Highways is encouraging visitors coming to Baguio to take the newly-opened alternate road, the ASIN-NANGALISAN-SAN PASCUAL, TUBA, BENGUET-TUBAO, LA-UNION BDRY. ROAD. According to PNA, the new road is now passable to all types of vehicles, cutting travel time to Baguio by at least an hour. 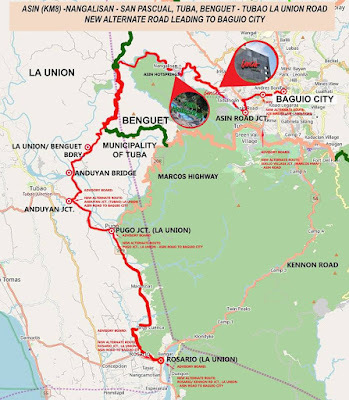 Baguio City Mayor Domogan also said that the use of the alternate route will address the traffic situation of Marcos Highway, considering it's capacity is just for 34,568 vehicles. The opening of the newly constructed Anduyan bridge last month helped travelers from Central Luzon to reach Baguio City and Benguet with less traffic and faster than taking the Marcos Highway. Motorists coming from Manila to Baguio can take the left road at the intersection going to Tubao and Agoo. About 50 meters from the intersection after a gasoline station is a large signage saying, "Alternate road to Baguio", which will lead to Asin Road. You can stop by at the hot spring to relax for some times. Upon reaching the hot springs, go straight up to the Ifugao Wood Carving Village passing the BenCAB museum. Upon reaching Kilometer 4, on the left side is the diversion road leading to Naguillian Road, the right side leading to Suello Village and exit to Marcos Highway, and the middle road leading to Cooyeesan Mall, which is about 50 meters to the Lourdes Grotto intersection. If going to La Trinidad, Benguet, from Cooyeesan, take the road on the left side, which leads to Tam-awan and Puguis, straight to the strawberry fields. 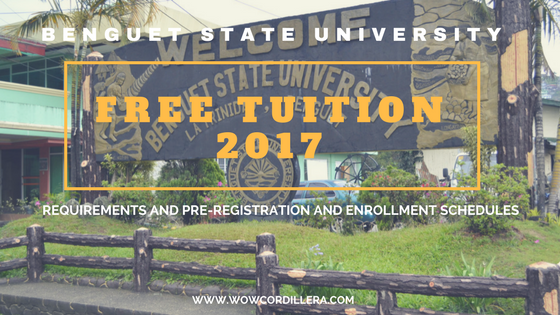 Looking for Budget Hotels and Accommodation in Baguio City? Cordillera - We all know that etag is a term Cordillerans in the North used to call a slab or slice of pork preserved in a traditional way. For most Cordillerans, they associate etag to a tasty pork ham that can be used to flavor 'pinikpikan' and other traditional delicacies. The making of etag does not involve a complicated process and the main goal is to preserve the meat by salting and either smoking or sun-drying. You might see some videos or images of etag with live moving maggots in them and you might be asking yourself if those nasty creatures are essential to making a good tasty etag? Perhaps you might have heard someone from Sagada saying, 'Well, maggots are fine. You can eat it, it won't kill you, anyway', just to talk you out from the "Eww" disgusting feeling that might prevent you from actually eating it. Someone might have also complemented your curiosity to try them by saying "real etag has maggots, no maggots - not tasty". Kidding aside, the fact that maggots appeared on some etags is an indication that the initial process of preserving the pork hasn't been done very well. It could be due to not being properly salted or exposed under the heat of the sun. A properly preserved etag should be prepared by rubbing the meat with a generous amount of salt and a little vinegar to prevent flies from swarming on the meat when hanged. Then dry under the sun for at least three hours daily for seven days. Failure to follow those procedures would allow flies to breed on those meat resulting to the existence of maggots after a few days. What happens if you eat those meat with maggots on it? Is it safe? Well, it depends if you intentionally grab a piece of etag with maggots and actually eat them or take the etag with maggots, boil it, then use it to flavor your pinikpikan dish. It may be safe to consume a little piece of it. However, you could be susceptible to whatever the flies have eaten or been exposed to, such as feces or rotting flesh. Deadly bacteria may be present to the flies and pass it on to the meat. Etag with maggots can be a potential cause for someone to suffer from Mysisas infection which occurs when maggots infest and feed on the living tissue of animals or humans. Eating etag with maggots can also cause bacterial poisoning. Most food that have maggots aren't safe to eat, especially if the larvae have been in contact with feces. Some houseflies use animal and human feces as breeding site. They also breed on garbage or rotting organic materials. Is there a way to eat your etag with maggots? No one could say that maggots are dangerous because it is actually a very good source of protein, good fats and other elements. In fact, scientist are now looking into the possibility of using maggots to produced textured protein or a sustainable snack for humans, according to healthline.com. 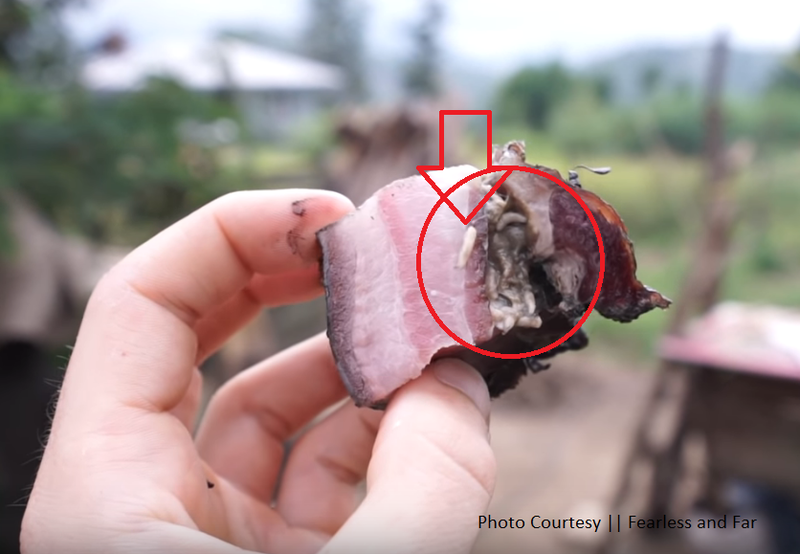 If you cook your etag before eating like most Cordillerans do like mixing them with pinikpikan, it could be safe because cooking would kill the microbes, parasites and bacteria present on the meat. However, the risks could not be guaranteed to be non-existent in cooked etag. It is still advisable to consume only those etag that was properly preserved without the presence of maggots. Researchers from the Philippine Council for Agriculture, Forestry and Natural Resources Research and Development recommended to etag makers to add 180 grams of rock salt for every kilo of pork they make. Then they should arrange the meat on a covered platter and allow it to cure for at least five days, after which the meat was either hot-smoked for two days (16 hours ) or cold-smoked for five days (56 hours). To ensure that no fly could touch the meat, the dryer should be covered with polythylene plastic - pcarrd. So if you happen to visit Cordillera and you want to have a taste of our unique pork ham or jerky, look for the ones that was properly cured. If somehow you are challenged or offered to try one, just make sure those flies washed their hands before sharing those etags with you. 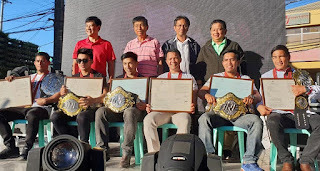 Baguio City - Multi-awarded coach Mark Sangiao of famed Team Lakay was among the outstanding Filipinos who were given awards and recognition at the Ginebra Ako Awards held on Tuesday at the Cultural Center of the Philippines. Ginebra Ako Awards was established to recognize individuals who personify Ginebra San Miguel's 'Ganado sa Buhay' Brand. Ginebra San Miguel is the leading producer of gin in the Philippines. All of the candidates were chosen from well-respected organizations around the country. They passed through a screening committee after which they will be shortlisted for each different category. Coach Mark Sangiao was chosen as the awardee for the Ginebra Ako para sa Palakasan category. "Thank you so much for being chosen as an Awardee for the Palakasan Category - for instilling the virtues of discipline, humility and respect from the tough of sports and mentoring a generation of enlightened, educated Filipino athletes in Mixed Martial arts," Sangiao wrote in his Facebook account. Meanwhile, Mark Espesor, the President of the Federation of Person's with Disability Associations, Inc, took home the Ginebra Ako para sa Kabataan award. Teodoro Canda, the founder of Nagpapakabanang Mananagat sa Tigao was awarded the Ginebra Ako para sa Kalikasan. Lastly, Storyteller and director Joseph Keit Anichoche, bagged the Ginebra Ako para sa Entablado award. 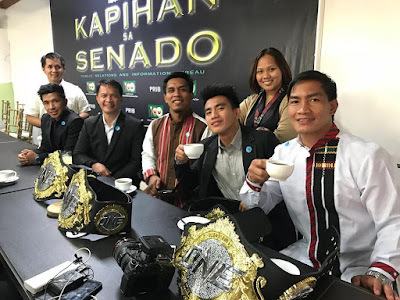 Baguio City - Some of the world's known Mixed Martial Artists are not only thinking of going into the cage and box with their opponents, but they are business minded (entrepreneur) people as well. Just like Edward Kelly who is now almost ready to launch his new business venture - a water refilling station in his hometown in Baguio City. 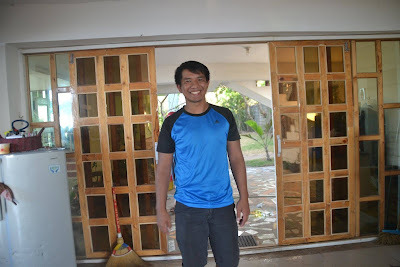 He called his water refilling station "Mr. Twenty One Water Delivery" which is the first refilling station located in his Barangay. Water refilling business is one of the most promising and highly profitable business today because people wanted to have a clean source of water to drink. "I have thought of this type of business way back. My cousin wanted to try this livelihood, but since he's away, I got the opportunity to do it. 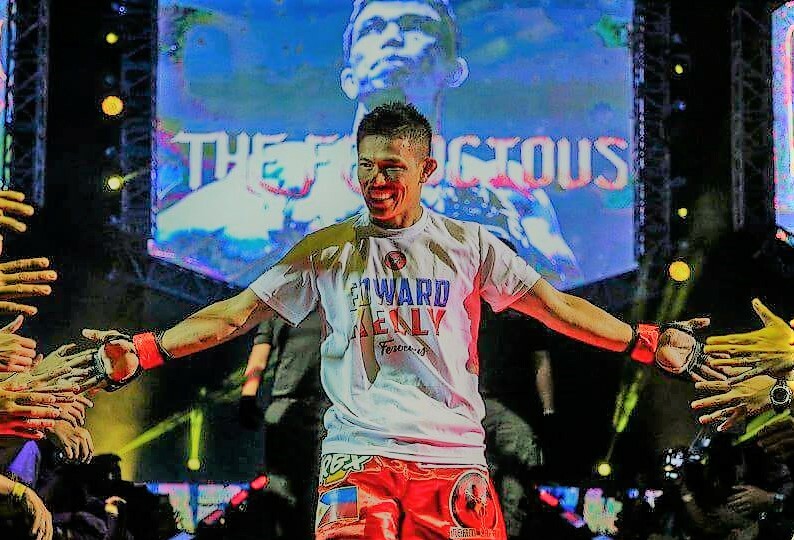 I am the first in our barangay to do this," Kelly said via abs-cbn sports. For Kelly, he pretty well understand that his career in Mix Martial Arts has an expiration and it is not a lifetime source of income. So while he is strong, he find ways to maximize his earning so he decided to invest in water refilling business. "I saved up money from my winnings to put up this business. I don't want to compromise my family's future because I'll never know what I'll be in my 50's," Kelly said. Kelly has an entrepreneurial mindset and he knows how he can make his savings from his winnings grow and be able to provide money for his family in the future. According to him, he doesn't want to be like other athletes who succumb to financial problems when they retire. Kelly makes it a habit to go straight to the bank and deposit a portion of his prize purse after each and every bout. Investing his hard-earned money is the best decision Kelly has ever done to prepare for his retirement in the future. Investing in any passive-generating income will provide him and his family a source of cash in times when his body can no longer work. 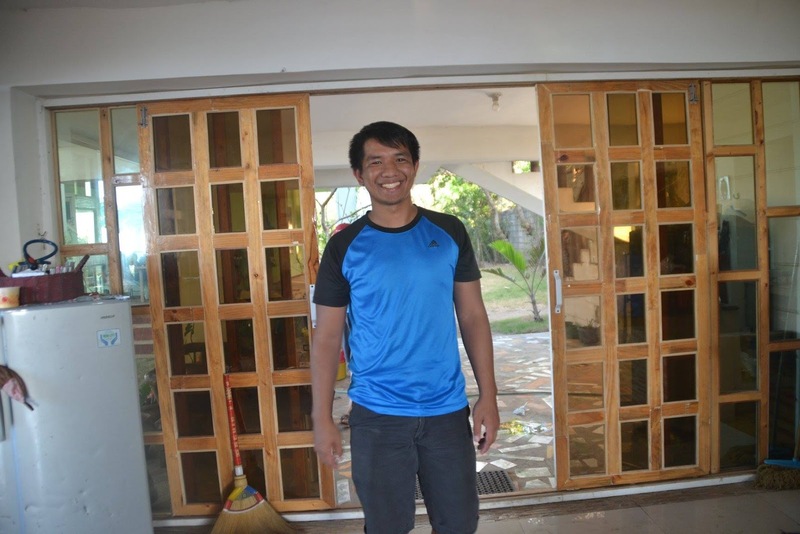 Cordillera - A hero rescuer drowned as he saved two boys and his girlfriend who were carried away by strong waves in a local beach in La Union. 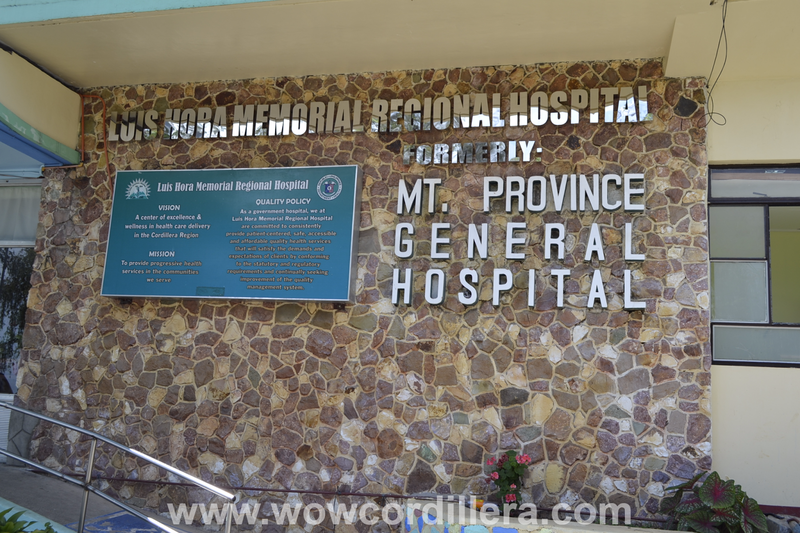 He was identified as Igor Sebio Donga-el, 29-year-old and a local resident of Pico La Trinidad, Benguet. Donga-el, a member of Team Lakay died last night on a beach where the team had gone to celebrate their advance Christmas Party. An eyewitness said that she saw her teammate signaling for help and all the others on the water waving their hands calling for help because three people were drifted out to sea. "I looked closer to what was happening and was shocked to see three (2 boys, 1 lady) people going further and further away into the deep sea. I turned my back around, shouted for help along with others," Pearl Alvarez said on a Facebook post. Many rescuers including residents and surfers nearby heeded to the call and came rushing to help. Two boys and one lady (his girlfriend )were safely brought to the shore except Igor. His girlfriend went looking for him but she was told that only three of them made it to the shore. She didn't believe it because Igor was there carrying her, trying to make her float. One of the boy said that Igor tried to keep him afloat by pushing his feet from under the sea and then disappeared. When they can't find Igor, some good hearted residents rushed in the middle of the sea to check on him, according to Alvarez. After several minutes of looking and waiting for Igor, the sea brought him back lifeless. "Minutes turned into an hour and everyone was still waiting.. Minutes after the 1st hour from disappearance, we are witnessing a floating body on the sea, still on his blue shirt.. there goes the body of the HERO, tossed by the waters..The man who, until his last breath, with all his might, poured out everything he has to keep others from losing their lives," Alvarez wrote. Igor was brought to the nearest hospital but he was not able to survived. 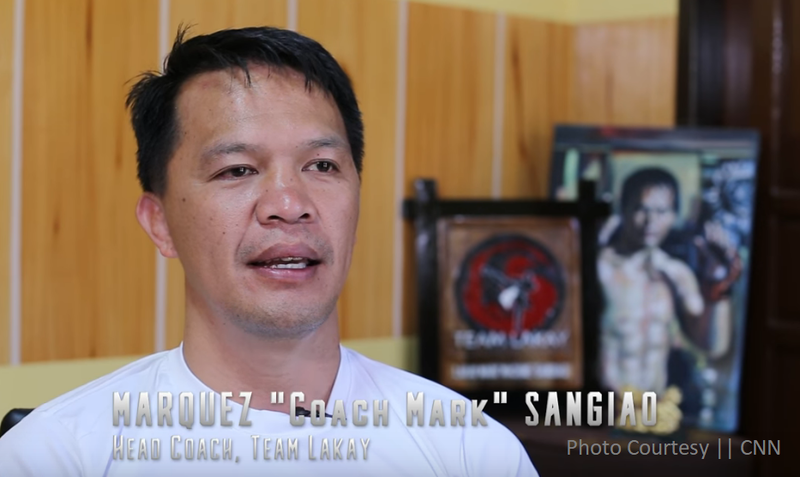 Team Lakay Coach Mark Sangiao wrote an encouraging message for Igor. "Igor, you taught us a very important lesson in life. "Nothing defeats the purpose of life when it ends for the purpose of sparing live. "You are a warrior, you are a hero," Sangiao wrote in his FB account. Cordillera - The Office of the President on Monday issued the Memorandum Circular No. 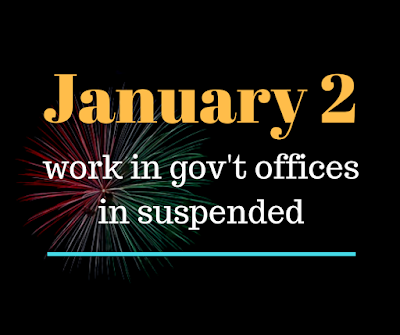 54 regarding the suspension of government work throughout the country on January 2, 2019 to give workers of the government extra day to celebrate the New Year's Day. The memorandum was signed by Executive Secretary Salvador Medialdea, by authority of the President Rodrigo Roa Duterte. "Further to Proclamation no. 555 (s.2018) issued by the President declaring 01 January 2019 (New Year's Day) as a Regular Holiday, and in order to give employees of the government full opportunity to celebrate such holiday with their families and loved ones, work in the government offices throughout the country, including government-owned-or-controlled corporations, government financial institutions, state universities and colleges, local government units and other agencies and instrumentalities, is hereby suspended on 02 January 2019. 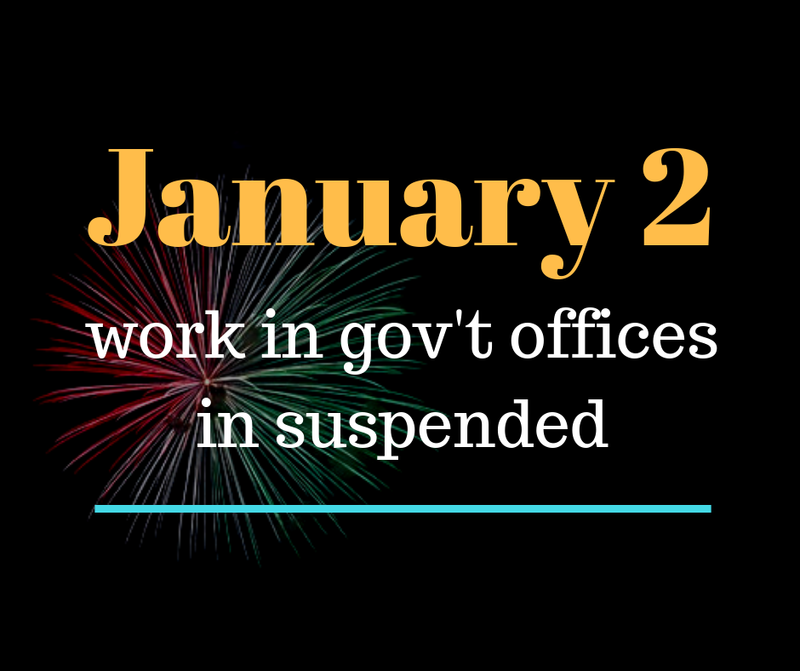 The suspension of work on the same date in other branches of the government and offices, is left to sound discretion of their respective heads/management." Cordillera - Year 2019 would be a tough and busy year for Team Lakay champions as they will be defending their belts against top challengers in the Mixed Martial Arts Arena. For the reigning ONE Strawweight World Champion Joshua "The Passion" Pacio, he was slated to defend his belt against Japanese challenger Hayato Suzuki on 19th January in Indonesia. Meanwhile Team Lakay's veteran fighter and now World Lightweight Champion Eduard "The Landslide" Folayang is also looking ahead to his first challenge as a champion. But right now ONE Championship has not yet made a formal announcement to whom he will be fighting inside the cage. 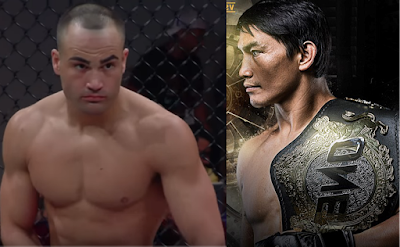 However, a lot of talks and expectations from fans and Eduard himself has been talking about a possible showdown with former UFC and Bellator lightweight champion Eddie Alvarez. 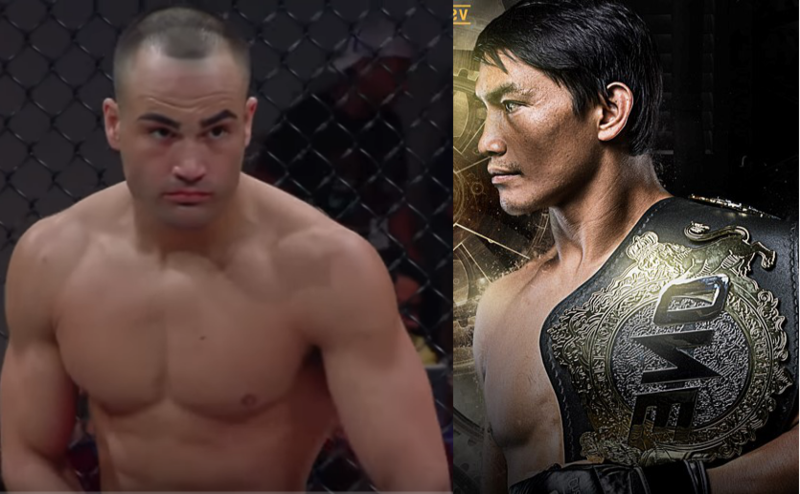 Eddie Alvarez on the other hand, recently signed with ONE Championship last October. He is one of the most accomplished lightweight martial artist of all time. With Alvarez's high caliber records in MMA and Folayang's recent triumph to the lightweight division, a possible showdown between them could be an exciting fight for MMA fans worldwide. 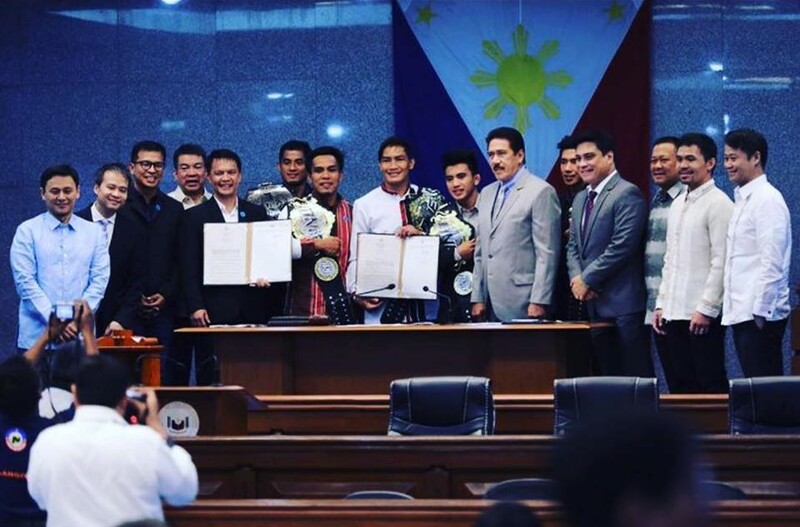 For Folayang himself, he admitted that a showdown with Alvarez will be a great matchup. "It will be a great match up. I have seen Eddie Alvarez and I have been able to follow him on his fights, and he is a great martial artist. He has been able to get the Bellator lightweight championship, and also the UFC championship. So, for him, he be looking to get another shot for the ONE Championship lightweight belt. I think if, given the chance, it will be a great match up," Folayang said during an interview in BJPENN radio. 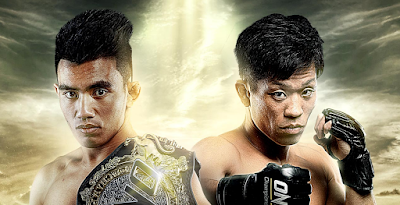 MMA fans would have to wait for ONE Championship announcement if a Folayang VS. Alvarez will be included in the first round of the ONE Championship Lightweight Grand Prix scheduled on 22nd February. If Folayang-Alvarez fight would push through, who do you think will win? Comment down below. Cordillera - When it comes to pure and warm treatment of visitors either a local or foreigner, Filipino hospitality is something we like to take pride in. 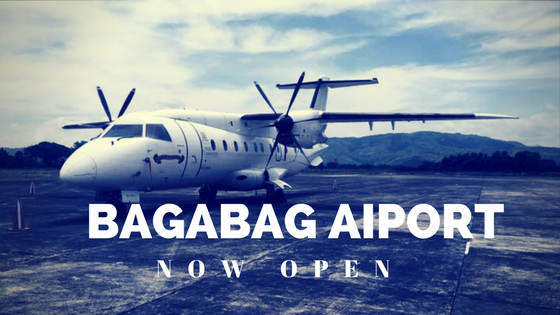 From the moment you step off the plane Filipinos will give you a warm welcome and a beautiful smile. 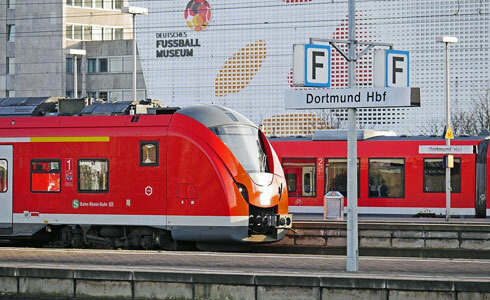 Which already gives you a feeling of being at home even though you are in another country. This trait has become a culture in the Philippines and has been praised all around the world. 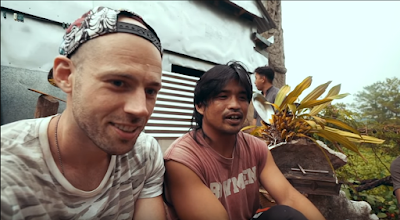 Although the Philippines is composed of many islands with people of different tribes and tongues and cultures, Filipino hospitality can be experienced anywhere and everywhere. Even from the highest peak of the mountain and in the deepest sea. They all know how to treat their guest properly. They will offer to show you around, invite you to their house and eat with them. And by saying this I want to give out a perfect example, in the municipality of Sagada a tribe that is also well known for their unique hospitality, the Igorots. They are warm-hearted people and very hospitable. Booking.com Actually, there was one foreign vlogger who wanted to try the authentic delicacy around the town of Sagada and one of the locals he met became his guide. Since he likes to try the local food, he was invited by his guide to attend his 4 year-old son's birthday party. The family welcomed him. He was shown various kinds of authentic Igorot food such as dinardaraan, etag and pinikpikan. The vlogger enjoyed the warm welcome and the hospitality of the entire family. For him there was no time of dull moment because everyone in the family wanted to talk to him. As he spent a lot of his time waiting and hanging out around the place, and showing their culture he experienced a real travel experience. “I’m happy. I’m here I’m happy I got the invitation and I’m happy I’m having a real travel experience.” With a simple invitation shows true meaning of hospitality. Making someone feel that once they are part of our culture and community regardless whoever it is. Cordillera - The province of Benguet remains peaceful with an observed decrease in crime rate of focused crimes except carnapping incidence. The average crime rate of the province recorded from January to October 2018 decreased by 34 percent compared to the same period last year, according to Police Provincial Deputy Police Supt. Luisito Meris during a recently concluded Peace and Order Council meeting. All of the focused crimes were observed to have been decreased and this is a positive news for the province of Benguet. According to Meris, the decrease in crime rate is attributed to the increase of police operation activities, increase in the latching of criminals, and good police community relations. He also said that the lowering of crimes may also be attributed to better and improved life of the people thus those crimes committed for survival reasons were minimized. Governor Cresencio Pacalso is happy to note of the maintained peace and order in the province. This, he said, is a reflection and manifestation of the cooperation of all member agencies on peace keeping efforts which he hopes will continue even during the election period. Pacalso said so far, the province has never experienced any election-related violence and still remains the most peaceful. Lawyer Elenita Julia Tabangin-Capuyan, Comelec-Benguet Election Supervisor noted that she never encountered any election-related violence in the province. She said that the people of Benguet are peaceful and they go door to door campaigning for more personal communication with the electorate. "Benguet, ever since, has been very peaceful. It's 99-percent peaceful, as there have never been cases of election-related violence in the province," Capuyan said. Cordillera - It seems the government is now serious on putting the summer capital of the country under rehabilitation to save from further damage. The Department of Environment and Natural Resources (DENR) has announced on Sunday (December 9) that Baguio will be the next ecotourism zone that will undergo rehabilitation. It said that the worsening traffic problems and the geo-hazard concerns are the reasons why they are now keen of putting the city on the list of areas they will rehabilitate next. According to Environment Undersecretary Benny Antiporda, the plan rehabilitation of Baguio will happen after Boracay, Palawan and Bohol will be finished. Antiporda said the government will look into the traffic concerns in the city that gets congested as tourists visits during the holidays. Many tourists flock to the summer capital with their cars and that's the cause of the traffic problem. Many cars are travelling along the road but there are no road expansion projects being done. However, Antipora noted that the road structure of the city is not viable for road expansion. "Yan po ay isa rin na kailangan mai-address natin at sad to say, dahil din po sa istruktura ng kaniyang bundok eh hindi natin magawa na ika nga'y magkaroon ng tinatawag ng expansion ng kaniyang mga road network," Antiporda said in an interview via GMA Super Radyo dzBB. Another concern the government plans to address is air pollution, as many people observed that Baguio no longer has the pine smell just like in the old days. The national government will be working with local government unit of Baguio to look into the possibility of adopting e-vehicles which would lessen pollution in the area, according to GMA. The DENR earlier said that the plan rehabilitation of Baguio do not necessarily mean the city will be closed to people just like what happen in Boracay. 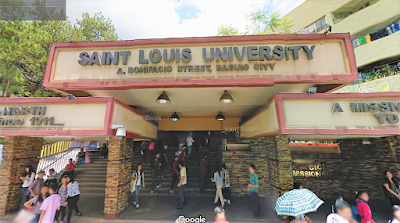 Baguio City - Three graduates from Saint Louis University Baguio have topped the list of the 4,811 passers of the Nurse Licensure Examination (NLE) conducted by the Board of Nursing in different testing centers nationwide. The Philippine Regulation Commission (PRC) announced that 4,811 out of 12,033 passed the exam held on November 2018. Alfonso Astudillo Lumiwes IV shared the number 6 spot with other graduates with a rating of 85.6 percent. 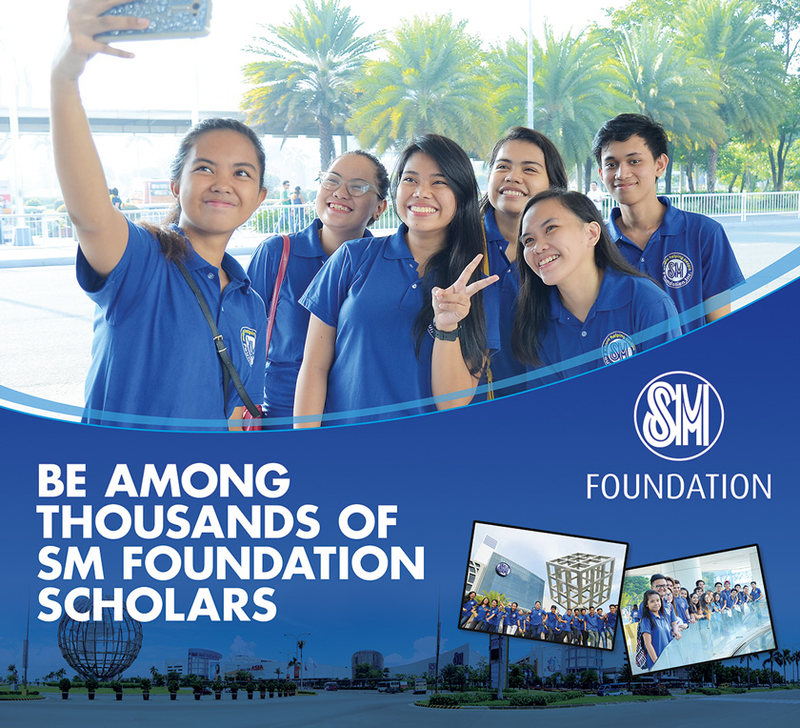 Meanwhile, both Samantha Faye Quezon Natino and Sean Michael Animas Taclobao got the number 7 spot together with 6 others graduates with a rating of 85.40 percent. Jeniffer Jacob Quirante from the University of Santo Tomas was in the number 1 spot with a rating of 87.80 percent. The Nurse Licensure Examination were administered by PRC Chairman Glenda S. Arquiza and members Carmelita C. Divinagracia, Gloria B. Arcos, Carfredda P. Dumlao, Florence C. Cawaon and Cora A. Anonuevo. The PRC advises those successful candidates to register online for the issuance of their Professional Identification Card (ID) and Certification of Registration. 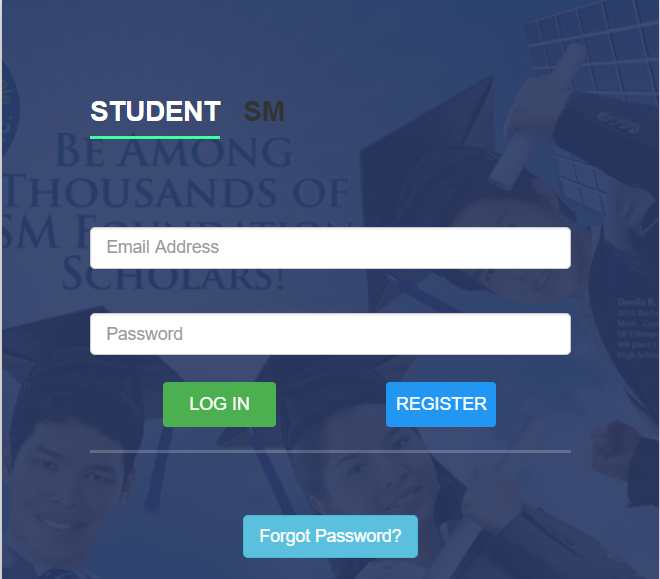 Please go to online.prc.gov.ph and follow instruction for initial registration. (Updated) - Asia's biggest MMA promotion ONE Championship has signed a 3-year broadcast deal with Turner Sport which will commence of January 1. The deal will broadcast some of ONE Championship's programs including the first event scheduled for January 19 which features Joshua Pacio vs Hayato Suzuki fight. Baguio City - Reigning ONE Strawweight World Champion Joshua "The Passion" Pacio will make his first World Title defense against Japanese challenger Hayato Suzuki on 19 January at the Istora Senayan in Jakarta, Indonesia. According to ONE Championship, ONE: Eternal Glory will be the first of the promotion's 2019 lists of match up in their calendar events. Pacio, team Lakay's youngest champion will take this opportunity to avenge his loss to Suzuki. The two warriors first crossed paths back in August 2017 where Pacio was easily defeated by Suzuki via rear-naked choke submission in the first round. It was a devastating defeat for Pacio that motivated him to improve his ground game with the help of this teammates. Since then, the 22-year-old Pacio continued making rounds of victories in the next year and half, including a world title win over Yoshitaka Naito that made him ONE Strawweight World Champion. Now, the Japanese contender is working his way out to challenge the Igorot warrior to prove their first encounter was not just an accident. Who do you think will win this upcoming match up between Pacio and Suzuki. Write your answer in the comment box below. Cordillera - A tourist who visited Baguio City this Christmas season had a chance to wear a traditional Cordillera clothing and his reaction is priceless. 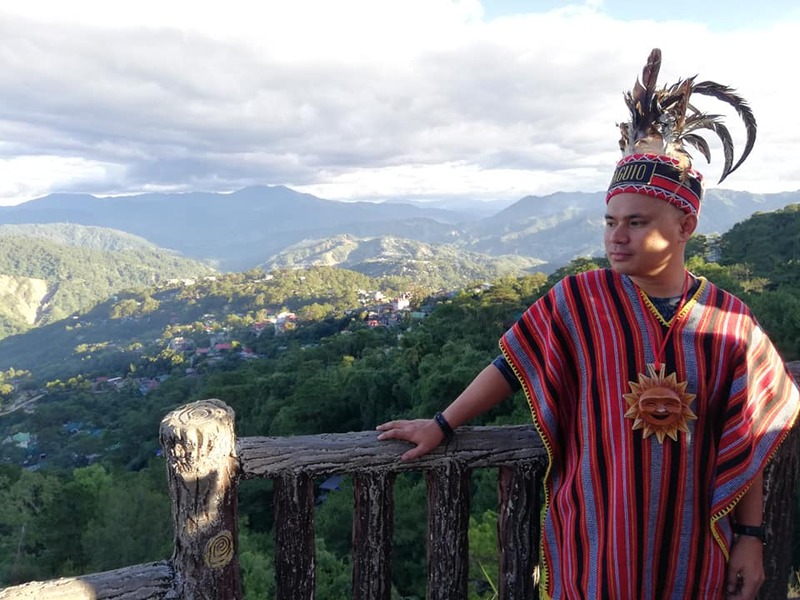 Nelmar Chaves Gomez from Butuan City expressed how he feels wearing what he believed the Igorot "bahag" when he visited Wright Park - one of the popular tourist spots in Baguio City. "Wearing the Igorot bahag is such a fulfillment for me because at least, I tried to feel how an Igorot feels while wearing those clothes and it is a feeling of pride for a good cause", Gomez wrote on his FB account. Although Gomez didn't wear the actual "bahag" also known as G-string, he took pride of that short moment he felt he became one of the Igorots and according to him this is the most unforgettable moment he had ever experienced. 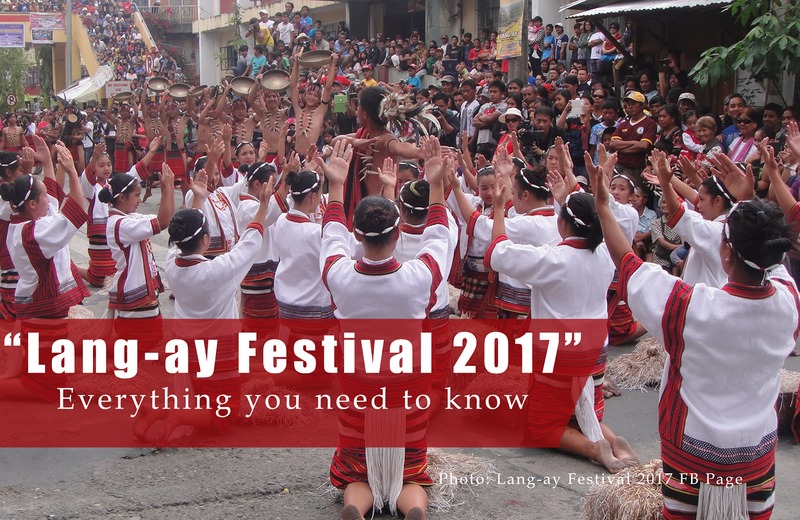 "I swear it was one of the most unforgettable experiences I ever had - experiencing the culture of the Igorot by wearing their beautiful trademark clothes. I didn't actually expect to become an Igorot even just a span of few minutes," Gomez said. Many tourists nowadays are beginning to appreciate and admire the Igorot culture such as Gomez who at his very first time didn't feel ashamed to wear one of Igorot's traditional dress and even call himself an Igorot. May your next visit to Baguio will give you the opportunity to wear the real bahag of the Igorots because wearing such will make you more handsome and "taraki" (good-looking) like these Igorot hunks below. 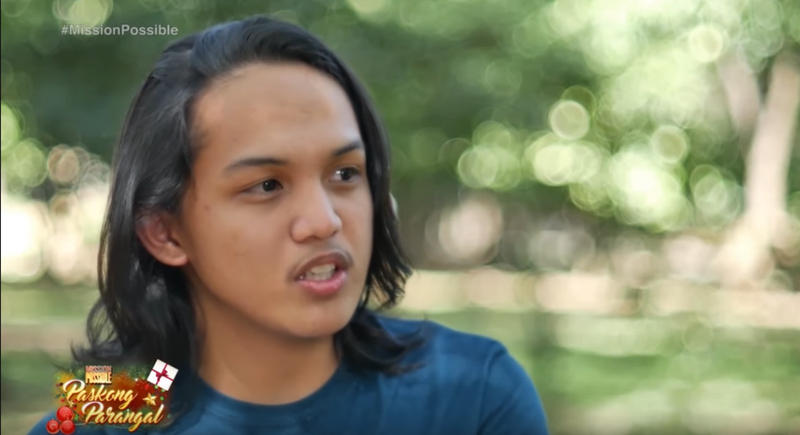 Cordillera - A 20-year-old young man from Baguio has been hailed a hero after saving two students trapped in a flooded building during typhoon Ompong. ABS-CBN "Mission Possible" TV program featured the heroic deed of Benjamin "Ricky" Madamba, a Civil Engineering student who saved two students who were trapped in their basement during typhoon Ompong onslaught in September. According to the young hero, he immediately responded to his younger sister's call for help that two of her classmates were trapped inside their basement with rushing mud water coming from the mountain. Out of panic and his inherent response to save the girls, he knocked a glass window at the basement to make way for the girls. unfortunately, he was injured and sustained a cut on his arm from the glass. He was rushed to the hospital and was given immediate medical care. He had eight stitches on his wound..
Madamba's heroic act by breaking the window gave way for other workers to enter the basement and save the girls. The girls were all rescued and brought to safety. Thankfully, they all made out alive. "Sobrang thank you and sobrang blessed, kasi buhay pa po kami at nakatayo pa rin kami", one of the rescued girl said. For Madamba, he considered these girls a part of their family and they would be at loss if something bad happened to the girls. His kind-hearted and selfless nature lets him put others first before himself. He thought about other people's safety before his own safety. 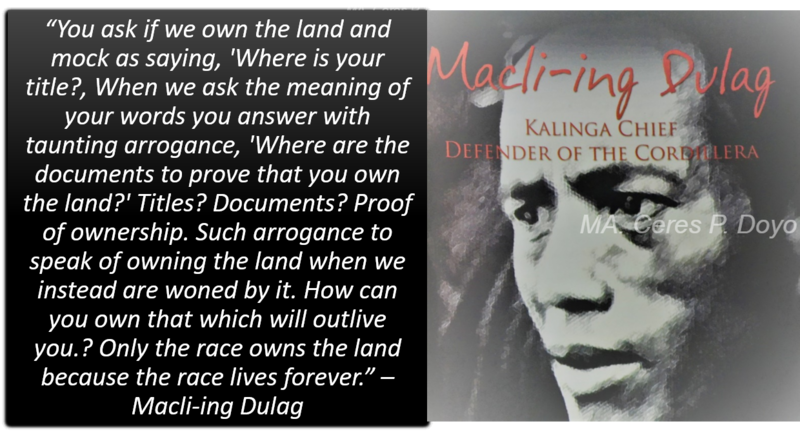 Madamba's heroic deed was commended by the City Government of Baguio and the Office of Civil Defense Cordillera. He also received gifts from Rotary Club of Malate Prime. Indeed, a simple act of kindness and bravery like of Madamba's is commendable and worth emulating. The scars from his wounds would always remind him of his selflessness and such mark have a good story worth retelling to his offspring. All scars have a story behind it. But do you have scar stories worth retelling that you are proud of? Cordillera - Another mixed martial artist from Cordillera was signed by Bahrain-based MMA promotion Brave Combat Federation to represent the Philippines in a scheduled bout that will be held in India on December 22, 2018. Harold Banario has signed with Brave Combat Federation as a replacement to Keith Lee who was pulled out due to an injury. He will be facing Angad Bishit of India who is also making his first Brave FC debut in the bantamweight bout. The 24-year old Banario is a native of Mankayan, Benguet and a younger brother of former ONE featherweight champion Honorio Banario. He is training out of the famed Team Lakay stable in Baguio city. Banario will be joining the list of Cordilleran Brave FC fighters under team Lakay. They are Brave FC reigning Bantamweight Champion Stephen "The Sniper" Loman, Jeremy "The Juggernaut" Pacatiw and Crisanto "The Slugger" Pitpitunge. Banario was part of the Philippine National team who represented the country in Wushu back in 2012. His currently hold a professional record of 4 wins and 1 loss. Aside from his MMA carreer, Harold Banario is also a painter. He has painted "Beauty and the Best" which featured Hollywood actress Emma Watson. 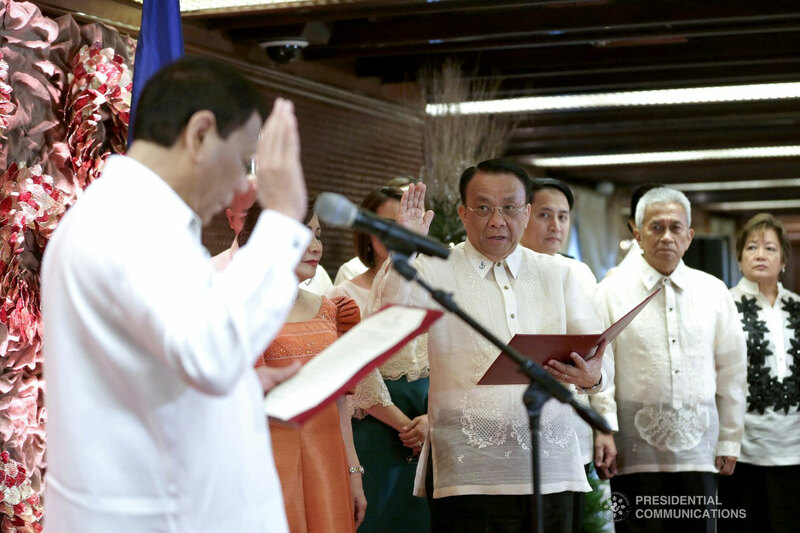 Cordillera - Newly appointed Supreme Court Justice Lucas Bersamin took his oath before Philippine President Rodrigo Duterte on Tuesday at the Malacanang Palace. 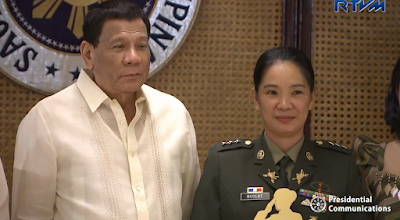 Bersamin was accompanied by his family during the oath taking at the Heros Hall of Malacanang. The president appointed Bersamin to replace former Chief Justice Teresita Leonardo-De Castro who retired last October 8. Atty. Bersamin was appointed as the new Supreme Court Chief Justice last November 26, 2018 based on seniority.